Demonstrate the effect of pressure to water depth. It consists of a pressure capsule of 35mm diameter placed in a bent steel tube. 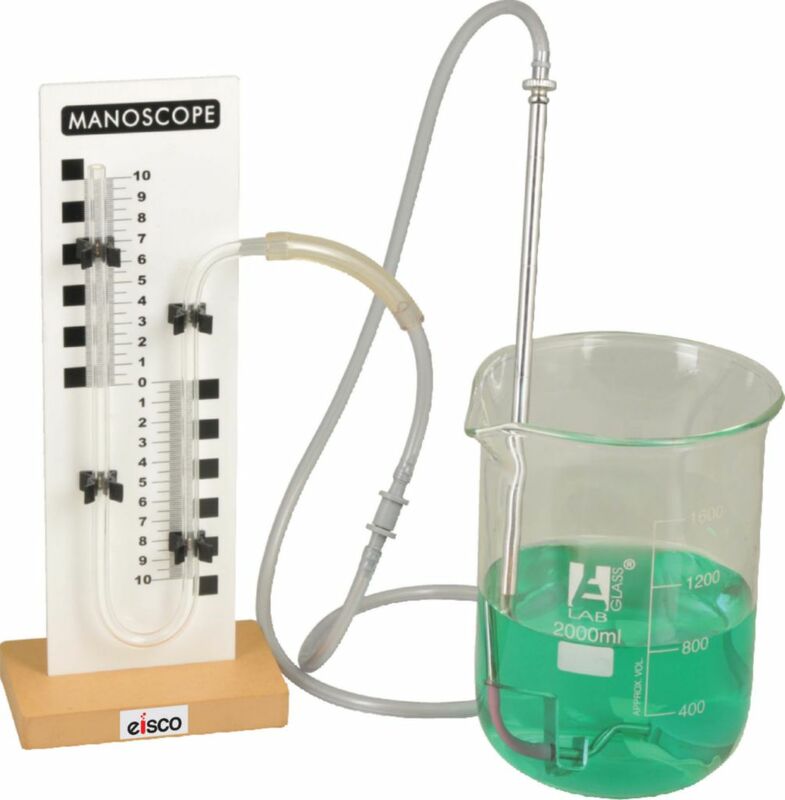 The pressure exerted by the water on the membrane of the capsule is measured by a pressure gauge mounted on a graduated support, connected to the probe by means of a transparent flexible tube. A device used to turn the capsule without leaving the water. The manometer tube is slideable on the support to facilitate setting of zero. Supplied with beaker.